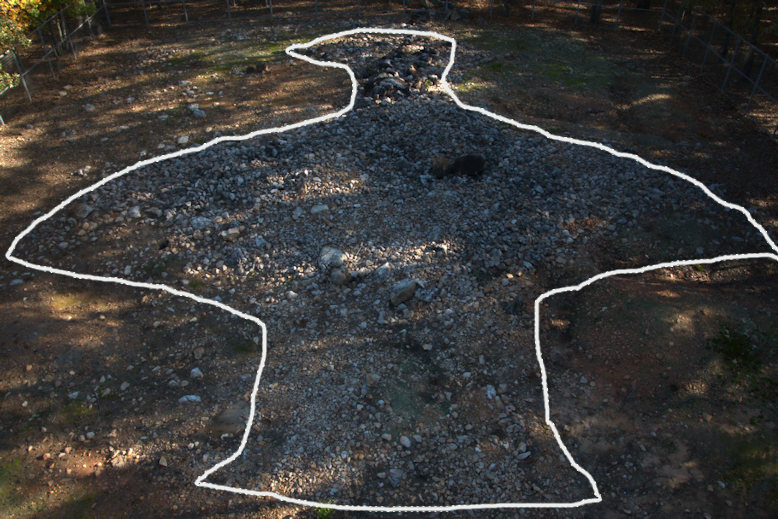 From the Rock Hawk website: It is not known who built the Rock Eagle or Rock Hawk Effigies, nor exactly when or why. The effigies were located on land occupied by Native Americans before early settlers took ownership via treaties and land grants shortly after 1800. The Rock Eagle Effigy is located at the University of Georgia 4-H Center on US Highway 441 in Putnam County. Dr. A.R. Kelly of the University of Georgia, after at least a couple of years of interest in the local mounds, became involved with the WPA (Works Progress Administration) in 1936 to conduct numerous excavations and surveys at Rock Eagle. They recovered small amounts of aboriginal pottery, chipped stone, and daub, which were not considered significant and suggested to many archaeologists and others that the В“cleanВ” mound was used for religious purposes. During that time, the effigy was reconstructed to the 1877 measurements of C.C. Jones. By 1938 the fence, walkway, and tower were added to finish off the preservation of the mound, as it appears today. At the time that Dr. A. R. Kelly of the University of Georgia and the WPA (Works Progress Administration) were excavating at the Rock Eagle Effigy, a letter dated March 23, 1936 was sent from George A. Turner of the Rural Resettlement Administration to Richard W. Smith, Secretary Treasurer of the Society of Georgia Archaeology concerning a third bird effigy. The letter referred to a map of Putnam County prepared by Turner, which showed the locations of important archaeological sites. 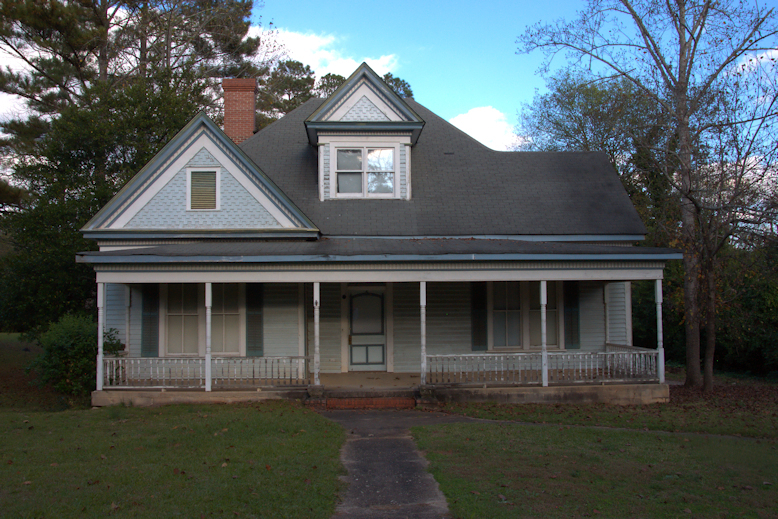 In addition to Rock Eagle (“Scott Eagle Mound”) and Rock Hawk (“Sparta Road Eagle”) he identified the following mound, which became known as the Pressley (Presley) Mound: “No.3, Northwest of Eatonton on the Eatonton-Godfrey road is known as the old Pressley place. 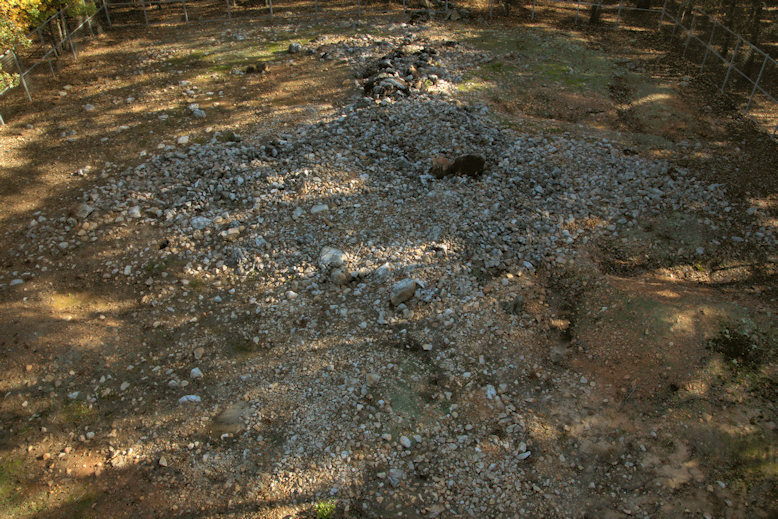 There is, at this time a large pile of rock, and someone stated that this pile of rock was once in the same shape of the Scott Eagle Mound but was destroyed by moving part of the rock. Indian relics have been found near this location. 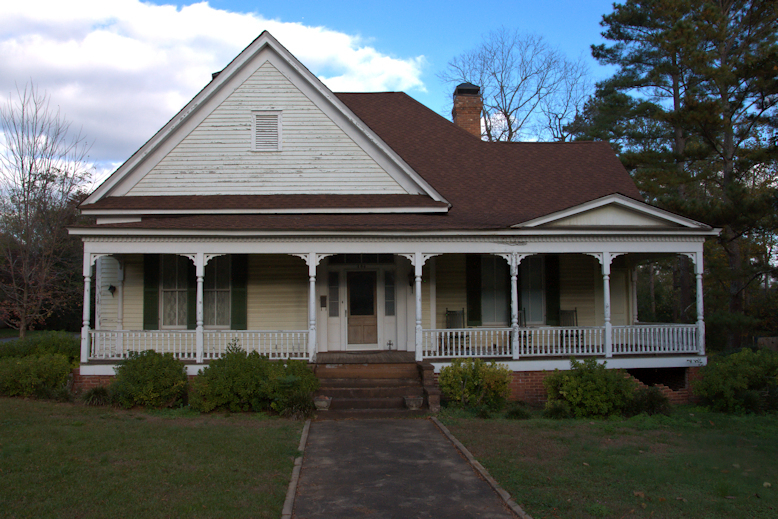 William B. Pritchard and Thomas Johnston built a log church known as Victory in 1810, on the Milledgeville-Athens stagecoach road. The congregation changed its name to Concord in 1812. 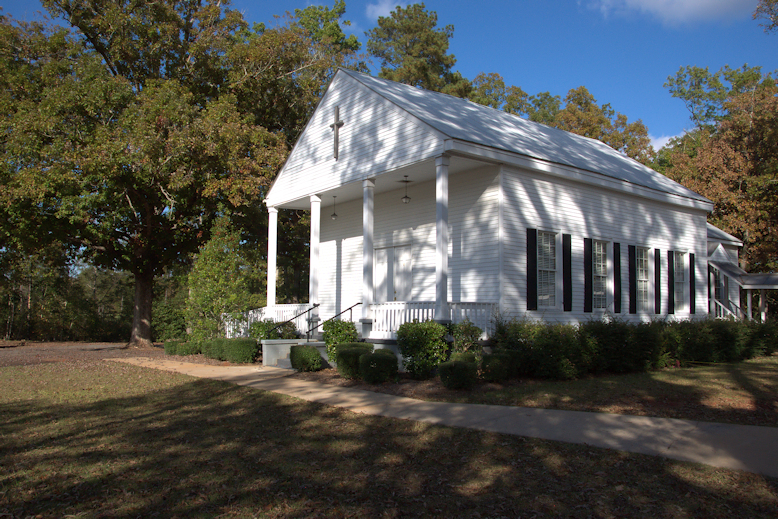 It was the first Methodist church west of the Oconee River. I have been unable to locate a date for the construction of the present structure. 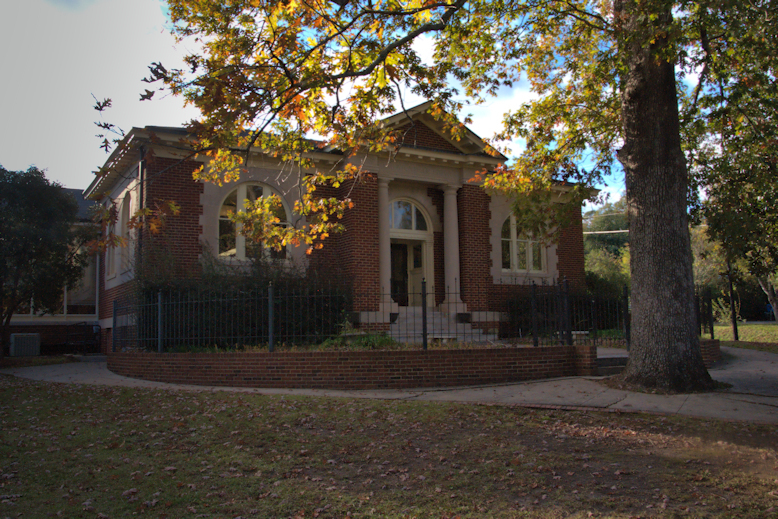 This still serves as Eatonton’s public library. 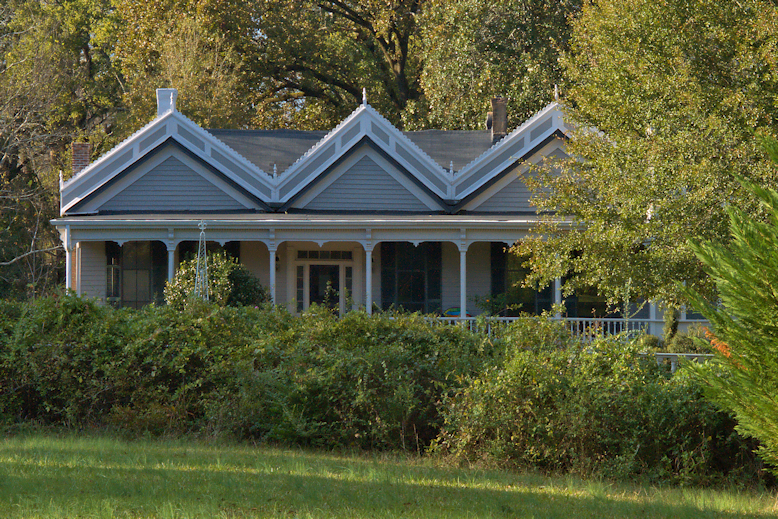 Various examples of the Colonial Revival style can be found on historic Madison Avenue. Like other early-20th-century revivals, they can be quite eclectic. 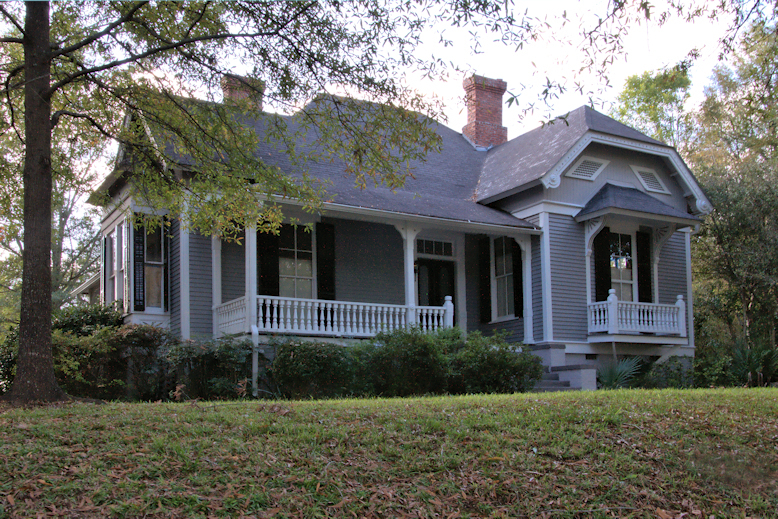 New South Cottages were a popular style from 1890-1910. They’re similar to Georgian Cottages, but asymmetrical. They incorporate many different styles, including Folk Victorian and Colonial Revival, as in these examples on historic Madison Avenue. 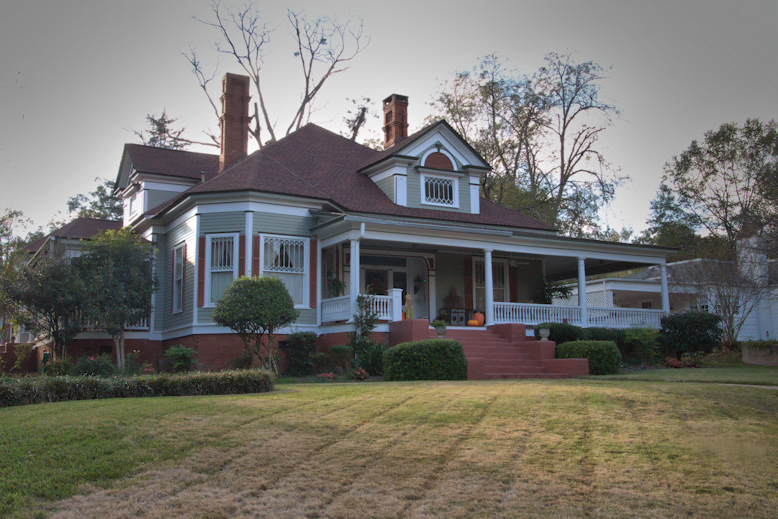 This house has an ornamented tower which is obscured by the trees on the right, but otherwise, its wonderful Victorian Gothic details are visible here. 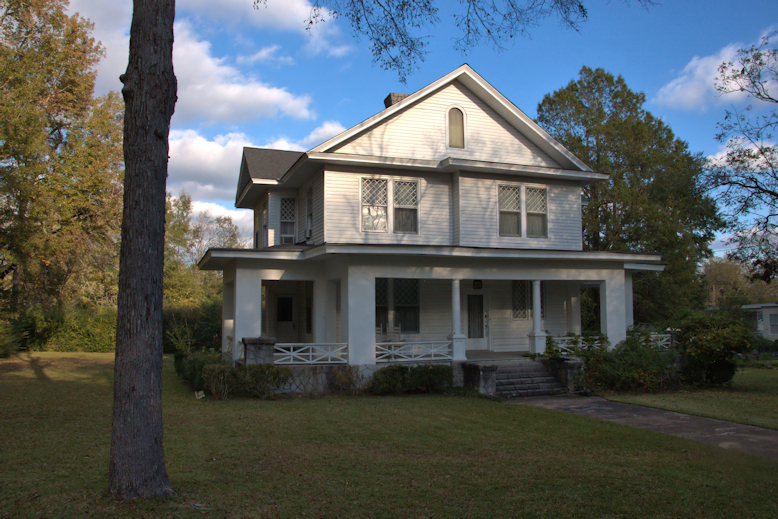 According to the National Register of Historic Places, it was built as a four-room central hallway house and expanded over the years as it passed from family to family. 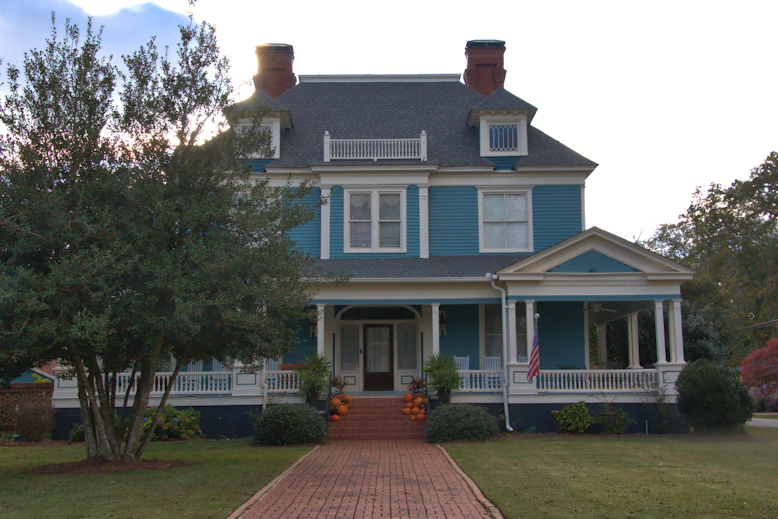 The Victorian triple gables and tower were added around 1885.